Save this when you need an easy side-dish that’s ready in less than 30 minutes! 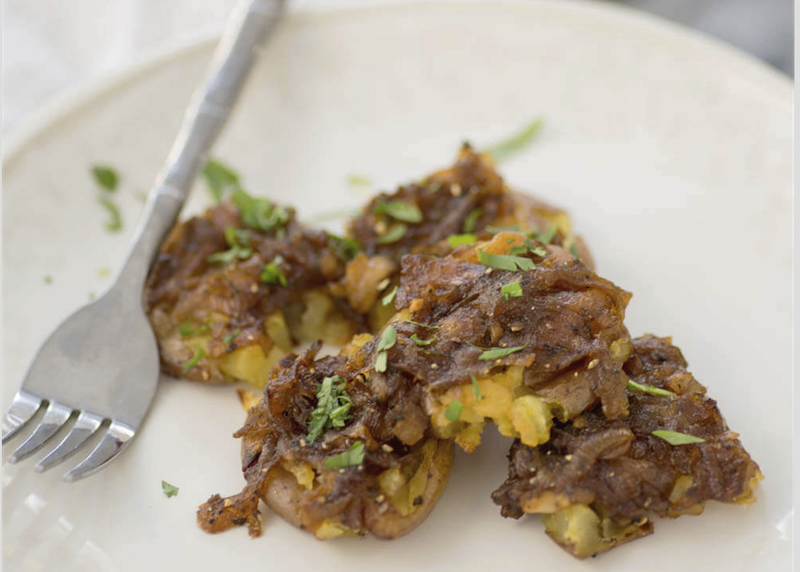 Smashed, crispy potatoes topped with buttery shallot dressing. Vegan and Gluten-Free. Heat the olive oil over medium heat in a large skillet and add the shallots, salt and pepper. Cook for 15 to 20 minutes until dark and reduced. Deglaze with the vegetable broth and vinegar, then add in the contents of the seasoning packet and stir until most of the liquid is reabsorbed. While the shallots are cooking, make the potatoes. 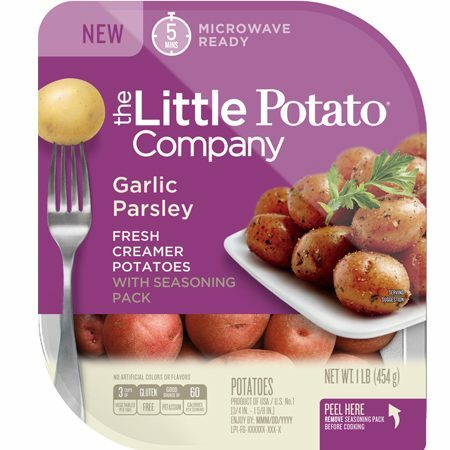 Remove the seasoning packet from the potatoes and place in the microwave. Cook for 4 1/2 minutes, then let stand for two minutes. Remove the potatoes from the microwave and place on a baking sheet. Lightly smash with a potato masher or fork. 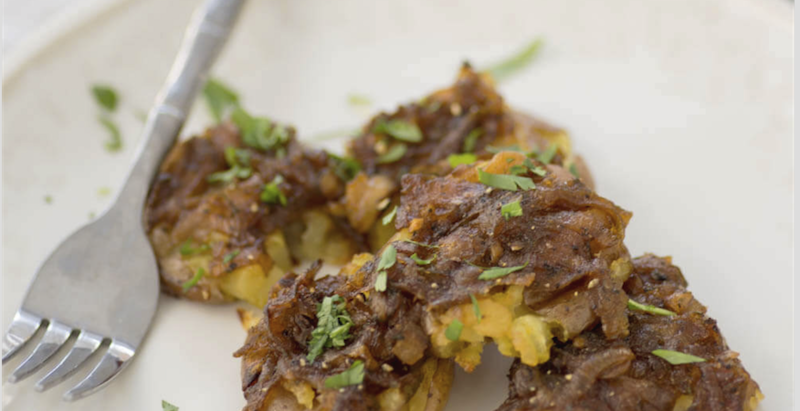 Spoon the shallot mixture on top of the potatoes, drizzle with more olive oil and cook for 15 to 20 minutes until crispy and browned.